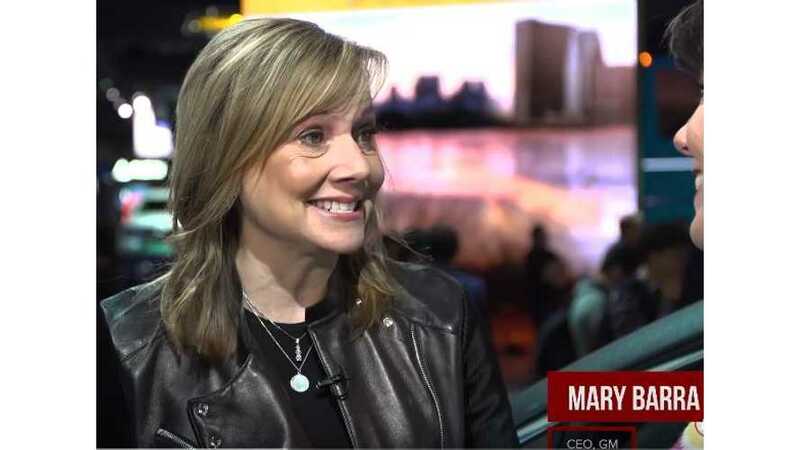 CNET's Roadshow had the opportunity to interview General Motors CEO Mary Barra at the 2017 NAIAS. "The boss of GM gives us the scoop on the Chevy Bolt and the future of EVs in the company's portfolio." Just prior to the 1-minute mark (the discussion after the Volt & Bolt mention turns to the Camaro, trucks and other non plug-ins), Barra discusses how the gen 1 Chevy Volt evolved into the gen 2 Volt and was followed up by the Chevrolet Bolt. "...the Bolt is our platform that we're going to continue on and have a huge range of vehicles." She notes that general Motors hasn't announced any of these vehicles yet, but they're coming and we're intrigued. A small electric SUV perhaps? Update (Jan 13th): Later in the show CNET also caught up to Mark Reuss, General Motors' product boss and re-confirmed Barra's earlier statements on product expansion (see video below). Reuss mentioned when asked if an all-electric Cruze was in GM's future, that more offerings were en route. "The platform that we got here (Bolt EV) is really the platform of the future for us...this is a great platform for us, it really is our future"